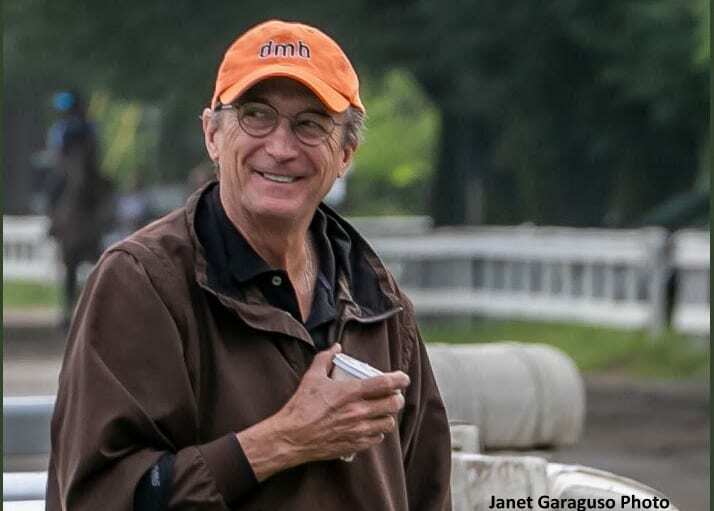 The New York Thoroughbred Horsemen's Association will host a memorial for Rick Violette Jr. from 5-7 p.m. on Monday, Nov. 26, at the Belmont Café at Belmont Park. Rick, the long-time president of NYTHA, passed away last month. We welcome everyone, from the backstretch and the frontside, to attend this celebration of Rick's life. Donations in Rick's memory can be made to the Backstretch Employee Service Team (BEST) or the TAKE2 Second Career Thoroughbred Program. The Belmont Café is located on the first floor of the clubhouse, trackside. For more information, contact the NYTHA Office at (718) 848-5045. This entry was posted in NL List, People and tagged backstretch employee service team, belmont, belmont cafe, belmont park, BEST, memorial, New York Thoroughbred Horsemen's Association, NYTHA, Rick Violette, Take2, take2 second career thoroughbred program by Press Release. Bookmark the permalink.